Hannah Wrixon only set up Get the Shifts, her startup that runs an app enabling hospitality businesses to source shift workers, in 2016. But the 42-year-old has always had an entrepreneurial spirit. At the age of 11, she spent an entire summer holed up in her room making stuffed cuddly toys. But sales didn't go as well as expected. "No one bought one - not even my Mum," said Wrixon. "I learned my first lesson in business: make sure there's a market for your product." Her appetite for the hospitality industry also came at an early age. While she and her three sisters were growing up in south-east Clare, the family would spend summers and Christmas holidays with their father in London, where he ran a series of pubs. "We were thrown behind the bar on summer holidays, from the age of 12," Wrixon says. "It gave me real love of talking to people and I always wanted to work in bars." But when Wrixon finished school, her mother discouraged her from entering the pub trade. "My feminist mother said, 'Go do something women can't usually do'," she says. "So I went to Shannon Aerospace to become an aircraft maintenance technician, as part of an initiative designed to encourage more women to get into engineering. But I got distracted and went to Australia at the age of 20. I was supposed to be there for a year, but I ended up spending six years there." After a stint managing Irish bars in Perth and studying human resources, Wrixon returned to Ireland as a single parent in 2002, determined to forge a career in HR. "But when I arrived home, I realised every other person in Ireland had also trained in HR," she says. "So I had to take another look at my life." Around the same time, Wrixon was searching for childcare for her son around Limerick city . When she couldn't find what she wanted set up her own children centre in 2004. Running the Aire Children's Centre led Wrixon to question why there wasn't a database of qualified childcare professionals she could call upon if she was short-staffed. The quandary prompted her to set up a business in 2007 called Last Minute Minders, which connects parents and creches with childcare professionals willing to work at short notice. But a change in the way gardai vetted childcare workers put the brakes on Last Minute Minders, with clearance to work in one childcare centre taking up to three months. Wrixon relaunched the company in 2013, on the back of the new vetting rules. "It did really well, with big companies like Google and Bank of America using us for when their staff had childcare emergencies," she says. "In 2016, another person took over the branding and started running the business. I was doing courses with New Frontiers and Going for Growth and meeting these amazing women. They were encouraging us to ask what the business could pivot into. "When I was out at a really busy bar that was totally understaffed, I got this eureka moment. I said to the guy running the bar, 'If you could get last-minute staff who were trained, would you do it?'. He said, 'Oh my God, absolutely'." Capitalising on the technology behind Last Minute Minders, Wrixon founded Get the Shifts in late 2016. Get the Shifts provides hospitality and events businesses with workers such as baristas, bar staff, kitchen porters, caterers, chefs, waiters and cleaners on a shift-by-shift basis. Its clients include the Aviva Stadium, 3Arena, Thomond Park, and Aiken Promotions. "Our clients all share one big problem: they want high-quality staff for irregular shifts," says Wrixon. "They might do a big recruitment drive and spend a lot of money and time on it, but then can't afford to hold onto these temporary staff for long periods of time." Get the Shifts interviews and screens the workers who sign up to the app. They are then trained by Dulann, a Waterford-based provider of online education, in areas such as health and safety. If the applicant is successful, they become what the company dubs a 'superstar'. 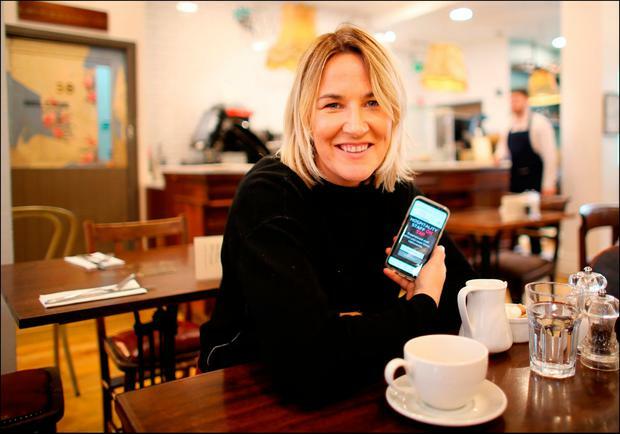 Hotels, restaurants, cafes, stadiums, caterers and festival organisers can use the Get the Shifts app to browse through these superstars and offer them work up to three hours before a shift is due to begin. When the superstars show up for work, Get the Shifts' clients can verify their identify through the app's facial-recognition function and even sign off on extra hours worked at the end of a shift. The payroll administration is handled by Get the Shifts, which charges clients an hourly rate for each job to cover the sourcing of, and payment for, each shift worker. Wrixon says the company's superstars are mostly students, stay-at-home parents, or people who want to earn extra money. "We have people who use us as a second job, especially in the run-up to Christmas, when they want to pay for presents," she says. The company is poised to create 700 new casual roles in the hospitality sector over the next 12 months, including 300 before Christmas. Some operators in the gig economy, such as Deliveroo, have been criticised for perpetuating job insecurity and leaving workers without traditional benefits such as sick pay, but Wrixon says: "I think it's very different for us. We don't put any pressure on people to take work - they are in the driving seat. We pay holiday pay and we pay very well." Most of Get the Shifts' clients are located in Dublin, Cork, Limerick and Galway. However, the company recently secured a contract from the Eventist Group to supply staff for Christmas parties in Belfast and Dublin, and has another potential contract lined up to provide hotel housekeepers in Belfast. "There are 1,800 new hotel rooms in Belfast and they don't have the housekeeping staff to cope with it," Wrixon says. "Belfast will be our next market and that will be the testbed for the UK market. In March, we'll be going to Manchester, because it has a population similar to that of Ireland, and we know we can handle Ireland without overstretching ourselves. There are companies doing things similar to us in London, so we want to take the north of England first." The fruits of Wrixon's labours paid off in May, when Get the Shifts was named Ireland's best startup at the National Enterprise Awards. The company's five-strong team is based at Smithstown Industrial Estate in Shannon, a 10-minute drive from Wrixon's home in Sixmilebridge, and the entrepreneur is an avid cheerleader about the merits of operating a tech company from the west of Ireland. "For a start, it's cheaper to develop technology here than in Dublin," says Wrixon, who is now a mother of three. "We had software priced in Dublin and it was 40pc more expensive. The people who developed our web-based app are based in Ennis and the mobile app was developed in Limerick. So I would encourage anyone interested in developing tech to come here."